From The Ground Up Professional Real Estate Inspections is a locally owned and operated business created by Troy Priddy. From The Ground Up serves all areas of Southeast Texas. Troy Priddy is a Veteran of the United States Navy and was honorably discharged after serving six years as a Data Systems Technician for this great country of ours. Troy prides himself in educating potential buyers and sellers of residential and commercial properties. Every property is thoroughly inspected and each clients is provided with a detailed inspection report over that property. At the end of the inspection will have a good peace of mind regarding their investment. From The Ground Up has been a member of the Better Business Bureau with an A+ rating. From The Ground Up Professional Inspections was recipient of the Beaumont Enterprise Readers Choice Award for the areas Best Home Inspection Company. From the Ground Up is dedicated to providing complete professional inspection services to the Golden Triangle Area — Including: Beaumont, Lumberton, Silsbee, Nederland, Port Arthur, Port Neches, Orange, Bridge City, Texas and surrounding areas. From the Ground Up Inspections is also a licensed professional with a wide array of credentials. 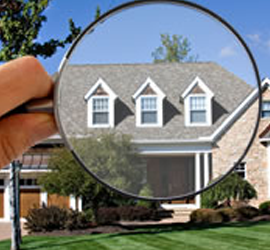 Since the beginning we have completed thousands of residential and commercial inspections since 2003. This complete service gives our customers confidence that we will be here tomorrow and for years to come when we are needed. Our Phones are answered from 8 am to 5 pm Monday-Friday, and your appointments are scheduled by one of our professional staff members.